I hate cleaning and doing dishes (who doesn’t? ), so anything I can find that helps ease that burden is a win in my book. I also prefer to store leftovers in metal or glass (instead of plastic), and use environmentally-friendly, safer cleaners whenever possible. When you need a little extra scrubbing help. I researched BBQ Grill Brushes for hours, and this one was the clear winner. Great for hand washing. Uses significantly less soap, but suds even better to clean more effectively. The tried-and-true earth-friendly, animal-friendly, and people-friendly all-purpose cleaner. These eco-friendly dishwasher tablets really do work well. After getting sick of wimpy sponges, I found these. They last significantly longer, and the scrubby side is very effective--but won't scratch delicate surfaces. Non-toxic laundry detergent that really works. 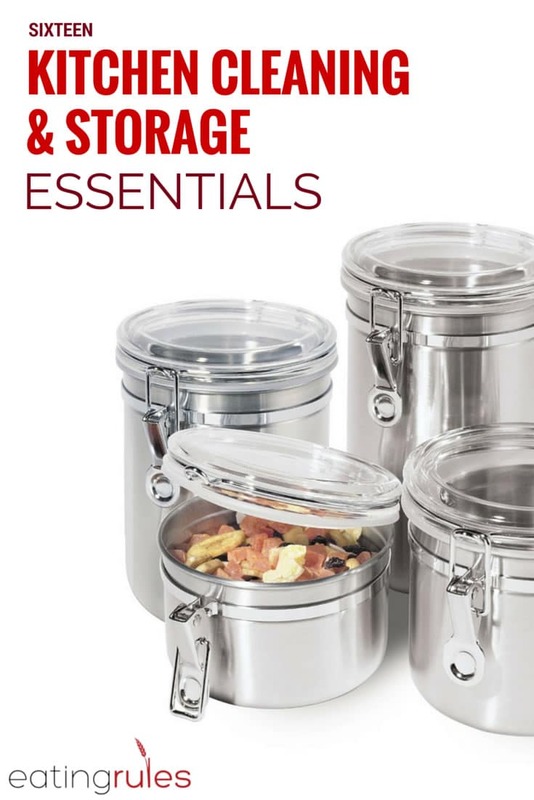 Stop storing your leftovers in plastic -- these durable glass containers are easy to use, clean, and store. It's amazing how much composting will reduce the amount of garbage you throw in the bins. Turn your scraps into the best fertilizer on the planet! We keep our worms indoors - they don't smell, and they're very quiet roommates.